- What states did the fugitive slaves travel through as they moved through the Underground Railroad? - What dangers did the fugitives face as they traveled on the Underground Railroad? How did they travel safely from one "station" to another? 1. 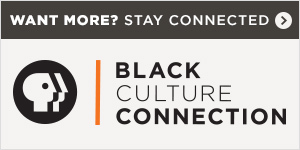 Watch the Underground Railroad: The William Still Story segments. 2. 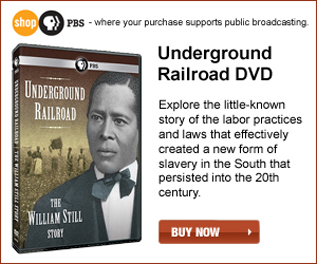 Students should fill out the Underground Railroad Worksheet while watching program segments. 3. When the segments are over, have a discussion based on the program and the worksheet. 4. Then using the map, have the students imagine that they are slaves and plot out their escape route to Canada. Draw an arrow line of the path of a fugitive slave escaping from a plantation in Mississippi, stopping in Philadelphia (where William Still resided), and on to Canada. - Is the path the shortest route? - What rivers did you cross or travel near? - What cities would you stop in? - How long do you think your journey would take? - Start in Montgomery, Alabama; go through Philadelphia, Pennsylvania, stopping in Toronto, Ontario, Canada. - Start in Richmond, Virginia; go through Philadelphia, Pennsylvania, stopping in Montreal, Quebec, Canada. - Start in Savannah, Georgia; go through Philadelphia, Pennsylvania, stopping in St. Catharines, Ontario, Canada. - Start in Jackson, Mississippi; go through Detroit, Michigan, stopping in Windsor, Ontario, Canada. 7. Have a discussion about how many miles each route is and how long it would take to drive. Point out how much longer it would take by foot and without modern day vehicles. The students will complete the Underground Railroad Worksheet based upon individual thoughts and class discussions. Students will complete an escape route on a blank map. Students will also create escape routes using Google Maps. You are an enslaved person headed for the Underground Railroad. You can only choose one thing most special to you to escape with. On a sheet of paper draw the thing that you choose and write two paragraphs explaining why you chose that thing. Slaves who ran away from their masters and were re-captured suffered terrible punishments.